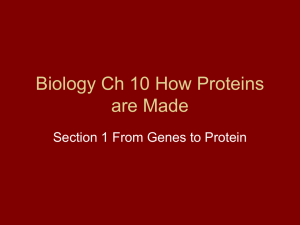 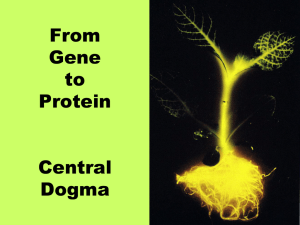 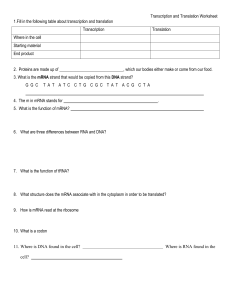 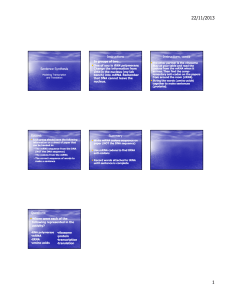 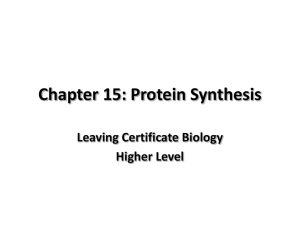 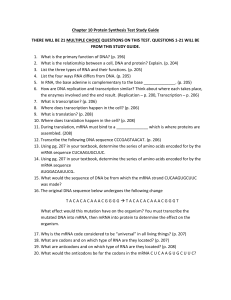 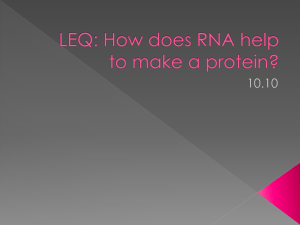 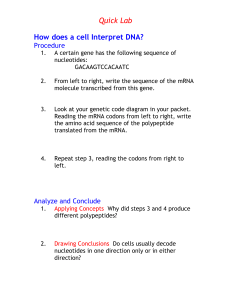 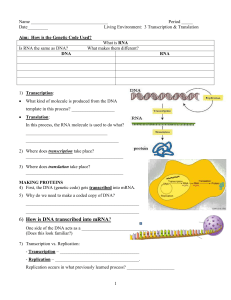 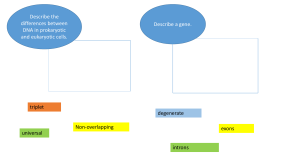 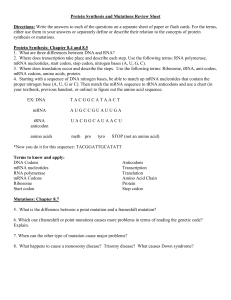 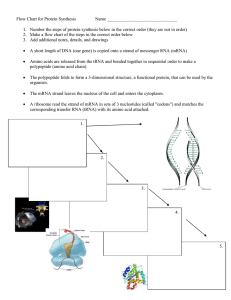 LEQ: How does RNA help to make a protein? 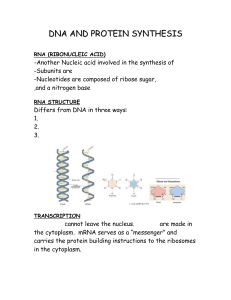 Messenger RNA (mRNA) is a large family of RNA molecules that convey genetic information from DNA to the ribosome, where they specify the amino acid sequence of the protein products of gene expression. 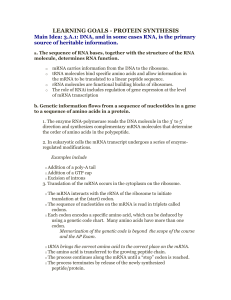 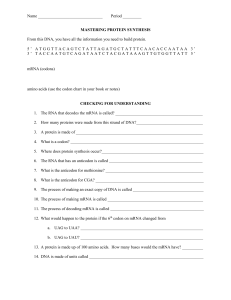 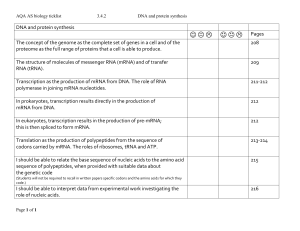 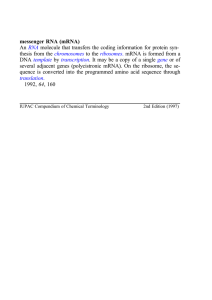 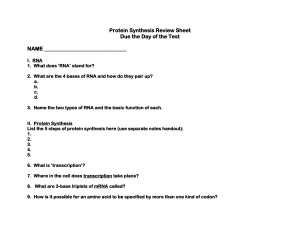 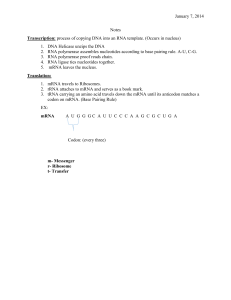 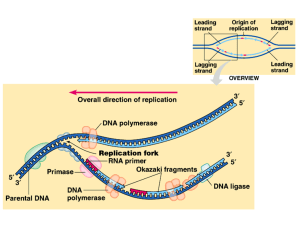 Following transcription of primary transcript mRNA (known as pre-mRNA) by RNA polymerase, processed, mature mRNA is translated into a polymer of amino acids: a protein, as summarized in the central dogma of molecular biology.As in DNA, mRNA genetic information is in the sequence of nucleotides, which are arranged into codons consisting of three bases each. 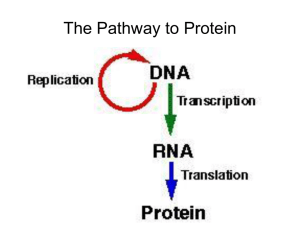 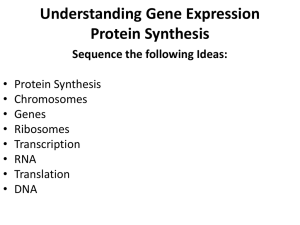 Each codon encodes for a specific amino acid, except the stop codons, which terminate protein synthesis. 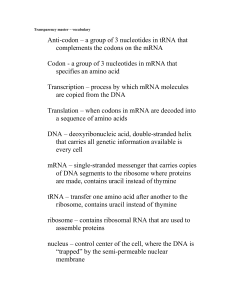 This process of translation of codons into amino acids requires two other types of RNA: Transfer RNA (tRNA), that mediates recognition of the codon and provides the corresponding amino acid, and ribosomal RNA (rRNA), that is the central component of the ribosome's protein-manufacturing machinery.The existence of mRNA was first suggested by Jacques Monod and François Jacob, and subsequently discovered by Jacob, Sydney Brenner and Matthew Meselson at the California Institute of Technology in 1961.